Step into the adventure of a guided tour through one of the Ozark's biggest mysteries, The Old Spanish Treasure Cave. This cavern is filled with fascinating legends of hidden treasure buried by the Spanish Conquistadors. Learn why the unsolved mystery of the hidden treasure has kept the secrets alive in this cavern and why it is believed the treasure is still here. If you would like to receive our news letter, special promotions and the Underground Movie Events notifications please click on this link and fill out the form to be added to our list. We value and protect your privacy and do not share your email and contact information with anyone. Visit the Underground Movie Event. 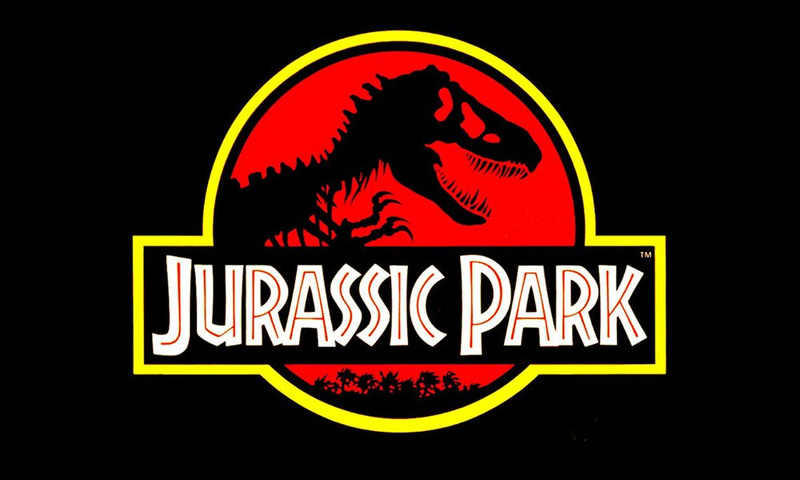 We will be showing Jurassic Park on: April 26th (Friday). Click here for tickets and movie information. Tickets available online only. The old Spanish Treasure Cave is an exciting, fun field trip for your students. "Click" on the bus and find out more information on the school Group program! The Camping Program is a guided tour specifically designed for Boy Scouts, Girl Scouts and Venture Crews. Each participant is given the opportunity to experience and enjoy a "living" cavern and camping inside the cavern. "Click" on the icon for more information. 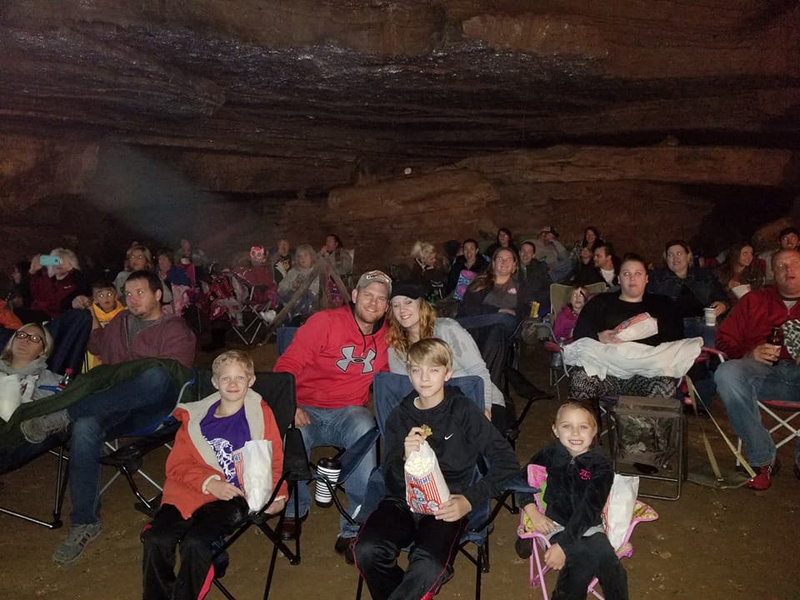 The Underground Movie Theater is OPEN in the Old Spanish Treasure Cave! The Big Council Room has been turned into a movie Theater. We have limited seating, but we can seat a lot of people. Click on the link below for more information and tickets. Remember you are sitting inside a real treasure cave! It Does not matter what the temperature outside is the cavern is always a comfortable 58 degrees. For tickets and information visit our website at: http://www.spanish-treasure-cave.com/movie.html. Take a hour out of your schedule and come and visit one of Arkansas' Best Kept Secrets! You will go on an one hour guided tour in a well lit cavern that is non-strenuous and full of exciting history. Make sure you bring your camera to capture this wonderful cavern and it's formations. If you have a group of 10 or more people, we have discounted group rates. Please call us at 479 787-6508 or email us at pau@spanish-treasure-cave.com for more information. Shop in this historic log cabin gift and rock shop. This log cabin dates back over 150 years ago. The gift shop as a unique supply of rocks, crystals, geodes, jewelry, t-shirts and gifts. Sluice for real gems, rocks, minerals, crystals and fossils in our gem panning sluice. Each bag is different it is like a treasure hunt in itself.